Apple likes to unleash an avalanche of news when it can. That might not be a strong enough Mother Nature-based analogy—it’s more like a News Tornado. No, it’s like a news tsunami—newsnami, if you will. On second thought, let’s scrap this analogy business and get down to recapping our biggest stories from a week that saw the introduction of the iPhone 5, iOS 6, Mac OS X 10.8.2, and oodles of other Apple updates. Want a case for your new iPhone 5? Don’t miss this week’s case roundup. And yes, the iPhone 5 doesn’t just ship with a new Lightning to USB plug; it also includes Apple’s new EarPods—which we reviewed this week. Luckily for Apple, we didn’t review the new headphones’ name itself: The dopey-sounding “EarPods” earns, at best, two-thirds of one mouse (also known as “mou.33333”). Oh, and we also went hands-on with iOS 6’s Maps, which is an app update that everyone loves universally. I kid, I kid. 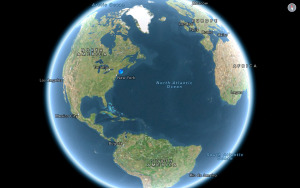 Some people feel that Apple’s updated Maps app in iOS 6 lacks, shall we say, direction. Or more accurately, that—at least in certain spots—it lacks accurate data, which can be a mapping deal breaker. If you live in an area where Maps has great coverage, you’ll love it; if you don’t, you won’t. Apple, for its part, says that the more people use the Maps app in iOS 6, the better it will get. In other words, Apple’s suggestion, if you want the company to improve the app? Get lost. Also new in iOS 6 is Passbook. If you’re having issues finding Passbook apps, we have the fix. Speaking of fixed events, you can already use Passbook to get into Major League Baseball games. We compared iOS 6 to iOS 5’s performance in our lab. And the new OS isn’t just speedy; it can also help you be more productive. Of course, that’s presuming you’re willing to stop just playing with all the new features for fun. Apple updated pretty much all of its iOS apps for iOS 6 and the new iPhone, and some scored major feature updates, too. And we went hands on with Find My Friends and Find My iPhone updates. The good news regarding those two apps is that even if Maps gets you lost, iOS 6 still knows how to find everything else. And as you no doubt guessed we would, we podcasted all about iOS 6, too. Apple released Mac OS 10.8.2, which adds Facebook integration and fixes Save As. Our long, Duplicate-inspired nightmare is over. Apple also released updates for a couple older Mac OS operating systems. Me, I’m still waiting for System 7.7. One day! Microsoft, as it so often does, decided to copy Apple a bit—it, too, got in on the “major releases for the Mac OS” train this week, releasing a Retina-ready update for Office. 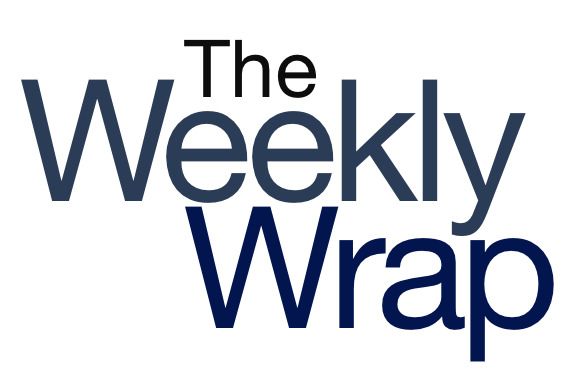 And now, as the Weekly Wrap comes to a close, you can rest your own retinas for the time being.